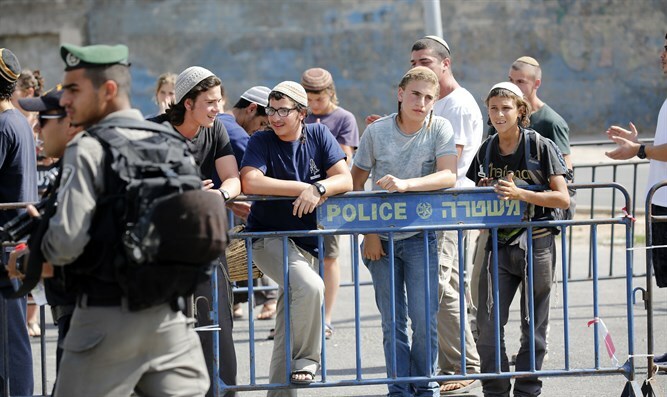 Shortly after the terrorist attack in which Rabbi Itamar Ben-Gal was murdered Monday afternoon, GSS (Shin Bet internal security agency) agents contacted several young men associated with the 'hilltop youth' and summoned some of them to the police station nearest them. The same youths received phone calls from Shabak officials who warned them not to take revenge or initiate provocations in response to the murderous attack. In one of the warning calls, the GSS man orders a hilltop boy to meet him, but the boy refuses to cooperate. Attorney Itamar Ben-Gvir, who represents five youths who received such conversations, says that "the Shin Bet has crossed red lines. It is very unfortunate that shortly after the murder of Rabbi Ben-Gal, what is being done by the General Security Service is to summon the hilltop boys into warning talks, who, incidentally, have no legal obligation to report to them." Attorney Ben-Gvir says "when the Shin Bet invests so much energy in activity against hilltop youth, the result is that they have a hard time locating the terrorists, and these conversations testify to the extent to which Israel is in trouble: Instead of investing all their efforts in dealing with terrorists, they invest efforts in investigating graffiti suspects."